Don't let the pink fru fru fool you. 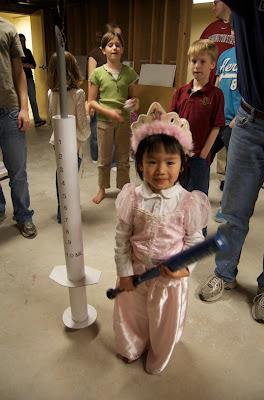 She's a princess you don't want to mess with, especially if you happen to be a syringe-shaped pinata and Princess Cholita is holding the bat. Because she's had enough with syringes. Enough with blood draws. And on Friday, in honor of her very last shot of interferon, she smacked that pinata, and she ate junk food, and she laughed, and she partied. 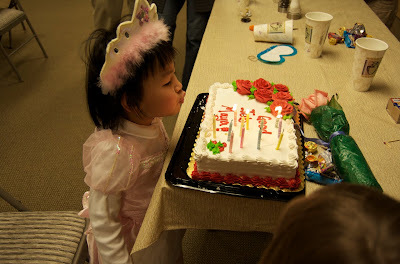 And she blew out 12 candles, one for each month of treatment. Weekly blood draws and weekly shots are over, and we're thrilled. Daily naps are also now over, and we're nervous. When you were little, you did something hard and you did it with grace. You have people who love you and are cheering for you. That makes me get choked up! We love her too. What a fun celebration you planned. Hugh was very impressed with his big brother's pinata making skills. We're praying for our sweet yet tough niece/cousin. Hooray Cholita!!! We are so proud of you!! What a great idea Eileen!! Congratulations Cholita!!! What an amazing Princess you are! Most big girls wouldn't be as brave. I bet it felt goof to whack that syringe pinata!! 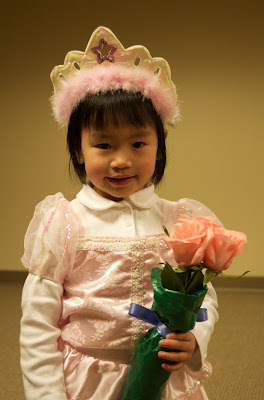 what a darling girl and a fun celebration. Love it.